Let’s face it–in the past 4 years, JK’s popularity has skyrocketed. His face is plastered throughout Korea, from Giordano billboards, to CJ One Card TV commercials, to Yahoo! Korea interactive advertisements. Despite having their roots in the underground, some artists take this level of fame as an opportunity to go from rags to riches and never look back. 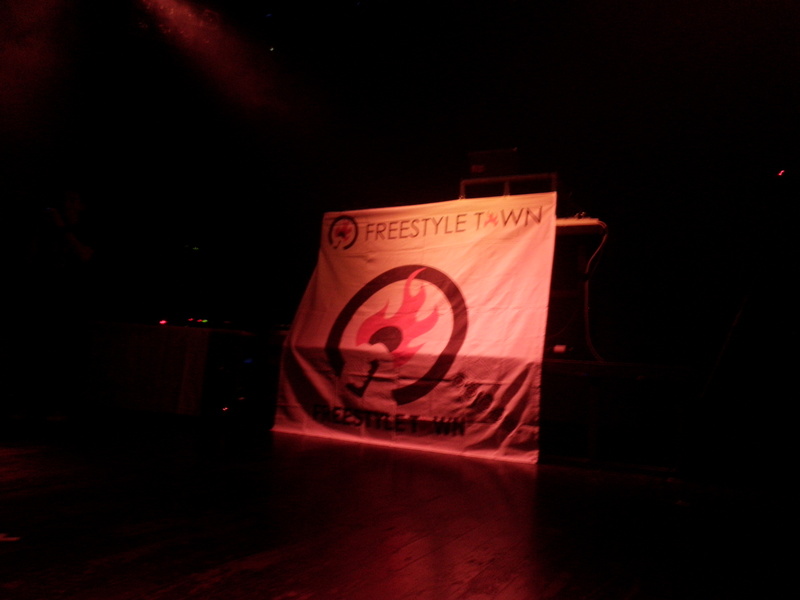 At the 2010 Freestyle Day, an annual freestyle competition/concert for both upcoming and established artists, JK chose not to be “one of those artists” and returned as a guest judge for the freestyle competition. Having fought for almost 10 years to get to the top, JK holds a lot of respect for the undiscovered and hustling rappers in the scene. Despite poster confusion, the competitors weren’t the headliners listed (sorry to disappoint! 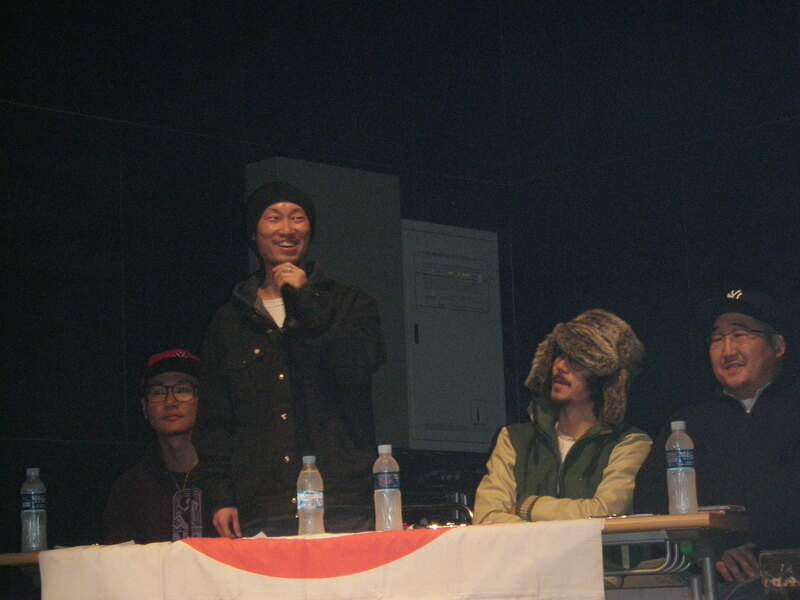 ), but they still provided a moment that can primarily be seen only in Korea’s underground. 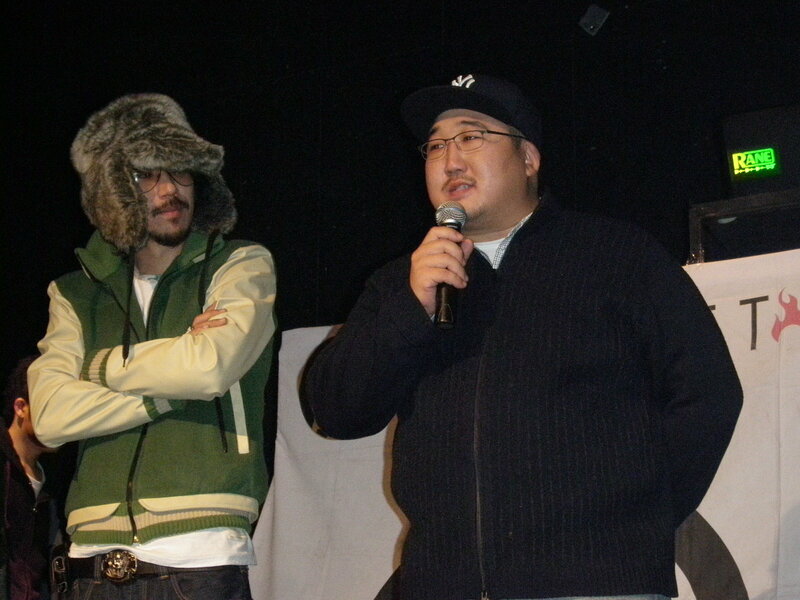 Before the winners were officially announced, the judges were brought on stage, giving the audience a glimpse of a rare moment: Garion, Tiger JK, and Sean2Slow (Korea’s most legendary lyricists) standing together on stage. Unfortunately, JK wasn’t performing on this night, so I do not have much footage of him to share. However, for those curious about updates, I asked JK about Tasha’s album release date and sorry to tell you all: it’s still in the works. What I can say is from what’s been said and the comments that have been floating around Twitter, the line up for her album sounds insane.